Should You Buy a Teleconverter for Your Camera? A teleconverter can be used on a camera lens to increase the focal length and, therefore, it's magnification or zoom. These can be useful tools, but there are some things you need to know about using a teleconverter as they can impact the quality of your photographs. Most photographers, be they amateur or professional, like to carry a telephoto lens in their kits. They are great for getting up close and personal to subjects when it is impractical to physically move closer. There are times, however, when even our strongest telephoto does not get us close enough to the action and we need just a little more of a zoom. One option is to invest in a new and longer lens though this can be extremely expensive and is not always a viable option. A cheaper way to extend the focal length of any lens is to buy a teleconverter (or extender). A teleconverter looks like a compact lens and is mounted between the camera body and the lens. It is used to multiply the focal length of the lens it is connected to. Teleconverters range from x1.4 to x2. There are many good reasons to use a teleconverter though they do have a few drawbacks that you should be aware of. Use this list of pros and cons to decide whether this tool is worth adding to your photography arsenal! The most obvious reason to use a teleconverter is to increase your focal length. An x2 converter will double your focal length, taking a basic 70-200mm lens up to 150-400mm! Teleconverters do not weigh a lot, but professional telephoto lenses often do. For instance, Canon's 100-400mm lens weighs 1,363g (about 3 pounds). That is a lot to be carrying around and if the weight of your camera bag is a concern, then a teleconverter may be a good alternative. Using a teleconverter does not affect your minimum focusing distance. This means that you can continue to use a telephoto lens to get close-in to a subject that is not too far away. Using a teleconverter can drastically reduce the speed of your lens. The lens receives less light with a teleconverter and this reduces the maximum aperture you can use. With an x1.4 converter, you will lose one stop, and with an x2, two stops will be lost. If you are shooting in low light, or indoors, this could have a big impact on your work. Sharpness and contrast can suffer when using a teleconverter and it can multiply any small imperfections that your lens might have. Teleconverters work best when used with high-quality glass. Increased focal lengths will also mean that any camera shake problems are intensified. Teleconverters can slow down the speed at which your camera can focus. If you have an entry-level DSLR, you might find that it cannot autofocus at all with a teleconverter. Of course, you can get around this by shooting with manual focus. 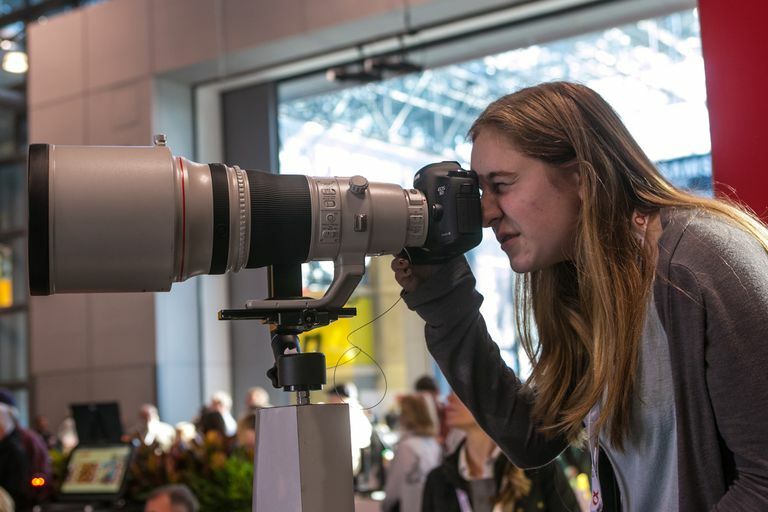 Remember, if you own a cropped frame camera, your focal length will already be magnified by around 1.6, so it is possible to get a very long lens! Do bear in mind that not all lenses are compatible with teleconverters, so be sure to check your lens' compatibility before investing in a teleconverter. All in all, teleconverters are a useful tool for all photographers. For those just starting out, teleconverters enable a wider range of photographs to be taken. As long as you are aware of the limitations they impose, teleconverters can be used to greatly improve your photographic results.